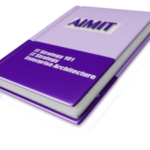 Save 10% when you buy three IT Management courses – IT Strategy 101, IT Governance, Enterprise Architecture – together! 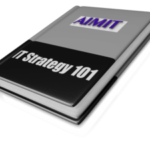 IT Strategy 101 Training Course Learn How to Use IT As a Strategic Weapon By Getting the “big picture” on IT. The IT Strategy 101 online training course solves this problem by explaining in detail where and how IT can add value to your business. This is the critical first step to bring your IT efforts in line with your business needs. 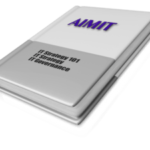 IT Governance Training Course The online training course provides an integrated approach to IT Governance by guiding the participant through a comprehensive, structured, proven framework and roadmap and its major components. 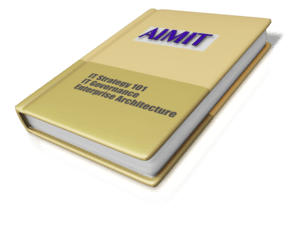 Enterprise Architecture Planning Training Course Learn How to Make IT Do More for Less By Architecting the Enterprise for Success. The Intro to Enterprise Architecture online training course describes what constitutes a “good enough” Enterprise Architecture and introduces proven methods to quickly develop one. You have 270 days to complete all three courses. Take them in any sequence. Take as much time on a course as you want. All courses are accessible for 270 days from the date of purchase! Pass the final exam for each course to get a certificate from the world’s foremost community of IT Managers.